Wellbeing for all members of our school is a key priority for us as a school. As part of our approach to ensure children’s emotional wellbeing is being catered for we have a variety of small groups and support networks to help support children during different stages of their life or during difficult times that they may face. Jackie Napier-Jones, our full-time Home School Care Link Worker, works with children across every year group. As we know, children achieve more when both school and home work in partnership to support a child’s development. Working together with parents assists in providing consistent support to children in and outside of the school environment, increasing their feelings of wellbeing. One of Jackie’s main priorities is to help build and maintain these essential links between home and school so that each child is helped to fulfill their potential. By quickly and effectively building strong, trusting relationships, Jackie can help support children in resolving problems before they become bigger issues. Early intervention regarding emotional and practical support helps to ensure that outcomes are far easier to achieve. Children may see Jackie for a number of reasons, either to help build up confidence and self-esteem, to encourage and support them in school, or to help develop emotional resilience. She may work with children 1:1 or in small groups. She also may offer drop-in sessions so children know they always have someone they can talk to in school. Our Young Carer’s Group meet fortnightly with Mrs Beckett. This group participates in a range of activities that are pupil led based on what the children enjoy and want to do. It is essentially a time for them to get together and just have a bit of fun. Young carers are children and young persons under the age of 18 who provide care, assistance or support to another family member. There are different levels of caring and can be both emotional and physical. Examples of caring roles can be to support someone with depression, substance misuse or someone with a physical or mental disability. We are not here to judge, we are here to help. Even if your child does not qualify as a young carer, perhaps the young carers club could still help them? 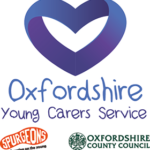 For more information about how to get further support in Oxfordshire for a young carer, please click here. If you would like more information, please contact Mrs Beckett on youngcarers@crowmarsh-gifford.oxon.sch.uk. Jackie Napier Jones, our Home School Care Link Worker, also leads this group. Our RAFters group meet fortnightly and is a group designed especially for our service children. They participate in a range of fun activities that is led by what the children enjoy doing. This academic year 2016-2017, our bid for MOD funding has been successful. This will help our RAFters to design and start a proper school gardening area. Keep an eye out for more about this exciting project!